Flipkart Big Billion Days sales begin from 10 Oct and will conclude on 14 Oct. The online marketplace continues to reveal some of its biggest upcoming offers on smartphones. 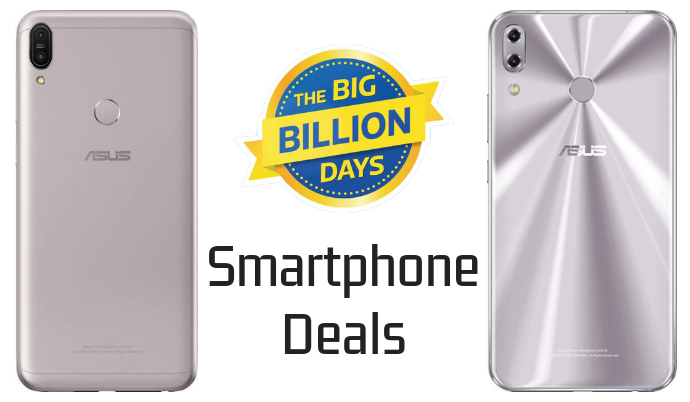 Flipkart earlier revealed the upcoming offers on Honored smartphone and followed it up by showing off its Crazy Deals and other upcoming offers on smartphones and for the Flipkart sale, Asus has partnered with the e-commerce platform to offer two of its top-selling smartphones, the Asus Zenfone 5Z, and Zenfone Max Pro M1 at their lowest ever price. 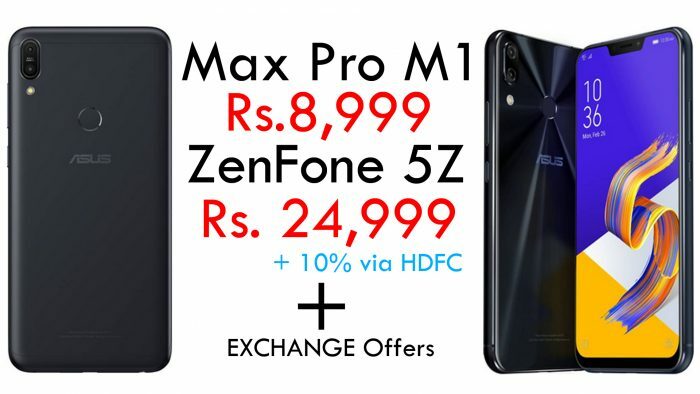 1.Flat 2000 Off on Asus Zenfone Max Pro M1 4GB and 6GB. Asus Zenfone 5z 8GB/256 = (31,999/-) (MRP Rs.36,999). 1. With an additional 10% instant discount on HDFC Cards. 2. No Cost EMI on all variants up to 6 months. 5.Exchange your One Plus devices with Asus (offer applicable on Asus 5z only).